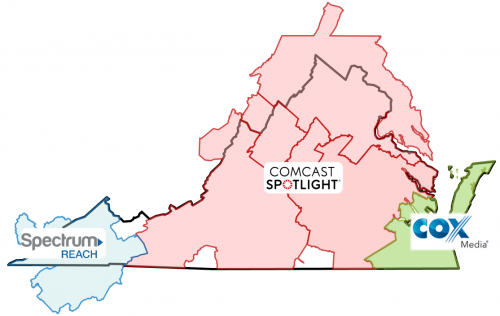 Comcast Spotlight, Spectrum and Cox reach 3.5 million subscribers across Virginia. You can participate in pre-negotiated local cable packages through your local cable provider. Step 1: Contact VTC to discuss your :30 television commercial and usage rights. 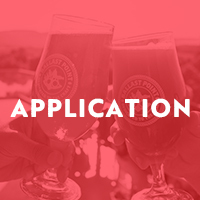 Step 2: Once your commercial is approved by VTC, submit your application to The Martin Agency. Step 3: Once your application is approved by TMA, submit the provided scheduling worksheet to Comcast at least 4 weeks prior to desired on-air flight date. Earliest on-air flight dates will be mid- to late-October. 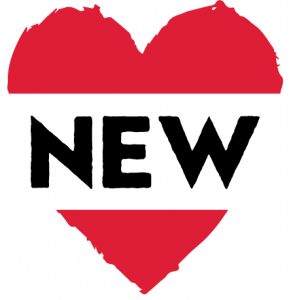 All television spots will include the Virginia is for Lovers® logo. If interested in the Comcast TV Co-Op, contact Shannon Johnson to start the conversation. A television advertising program may normally be cost prohibitive and difficult to navigate. This program offers pre-set schedules based on top-rated networks to drive audience impact at a discounted rate. The campaign is customizable by markets (where your ads run), weekly spot load (how many times your ad will run per week) and flighting (when your ads run). The Martin Agency will host a webinar for interested partners to further discuss and detail the program. VTC cannot begin work on :30 TV spot until all assets and evidence of usage rights are received. Templated spots will be produced using in-house music selected by VTC. Partner may choose voiceover from two options (one male, one female) selected by VTC. Partner will be allowed up to two rounds of revisions for :30 TV spot. VTC has final approval on all partner TV spots used for this co-op program.